Did Drake Exposed His Own Ghostwriters ? The Drake ghostwriting saga is not going anywhere anytime soon. Even long after the Toronto emcee bodied Meek Mill with a slew of diss tracks and taking on other rappers like Joe Budden he is still accused of using ghost writers. But did Drizzy implicated himself this time around. 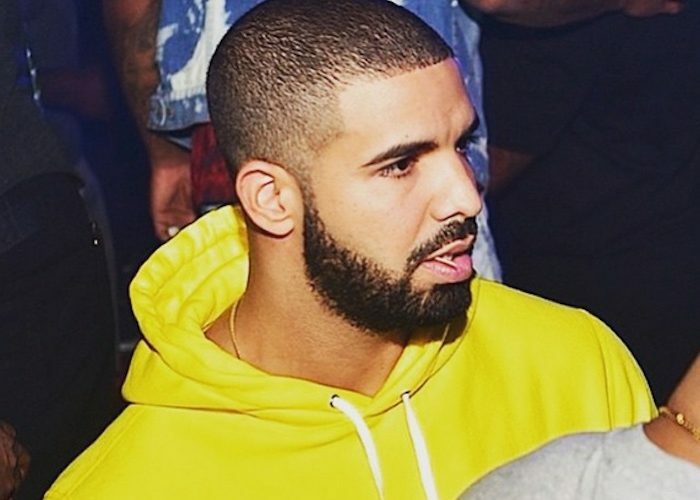 A year after the Meek Mill and Quentin Miller incident, some Instagram trolls went and dig up an old post of Drake’s account that dated back a year before the infamous ghostwriting beef. 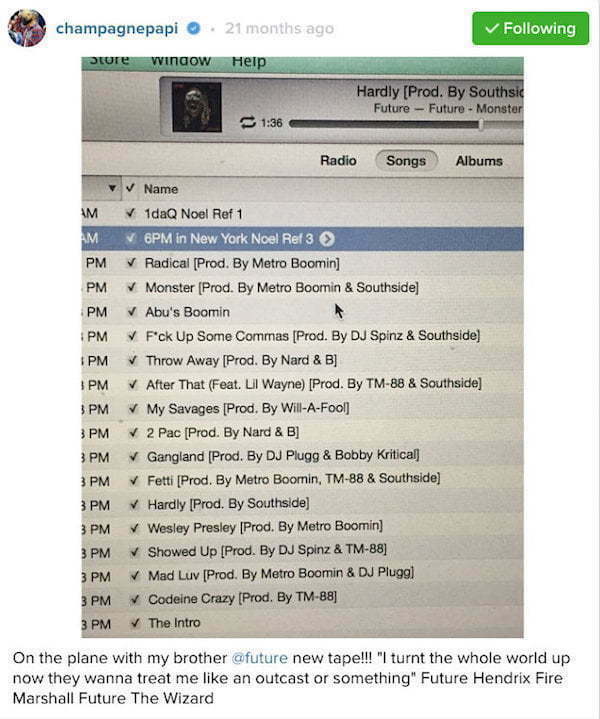 The post is an image of the Views rapper iTunes playlist which contained reference tracks from producer Boi-1da, Quentin Miller, who Meek Mill says was Drake’s official ghostwriter, and one of Drizzy’s engineers name Noel. Here is a screenshot of the post with at least three reference tracks. Seems Drake made the post while he was kn his private jet listening to his good friend and collaborator Future’s “Monster” mixtape.